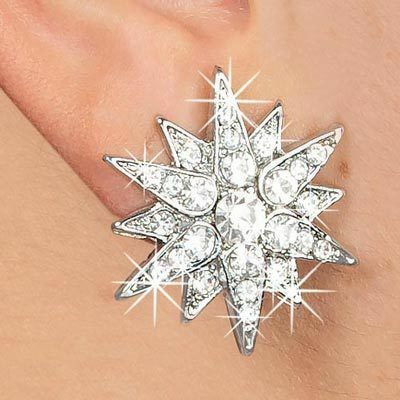 Covered in clear rhinestones for a brilliant 3-D effect, these shining star earrings are accented in silver-tone metal that brilliantly twinkles from day to night. Post backs. 1¼"l.